I used their gorgeous image :Basket of hope. it's a wonderful little bundle of digi-loveliness! I have to say - the basket did take a looong time to colour, but I feel it was worth it. that it needed too much more. different shades of brown alcohol pens. Beautiful card Vic! Gorgeous coloring...love the sentiment! Thanks for joining our weekly challenge at QKR Stampede! Beautifully coloured and a lovely card. Thank you for joining us at QKR Stampede this week. Beautiful card! 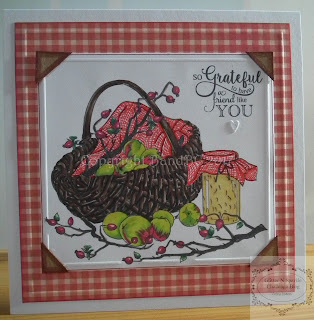 Thank you for joining us at Creative With Stamps Challenge this month!